With a reverence for classic European craftsmanship, the Relax House Michael designed Thonet No.16 quality original dining chair is a handsome addition to your home kitchen, café or restaurant. Constructed of Beech wood, our Michael Thonet designer original is available in three finishes, walnut, wenge (displayed here), and natural. Our dining chair is formed in the classic bentwood design with a scroll work detail at the seat’s backrest and an embossed star burst pattern on the seat itself. 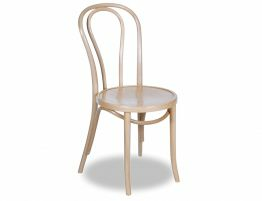 The Michael Thonet original No.16 dining chair still stands as one of the most popular bentwood chairs ever. We love the original and went straight to the source, the original Thonet factory in Poland, to offer you a quality, affordable original, here in wenge finished Beech wood. 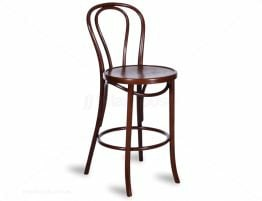 At the very forefront of design, Thonet’s collection of bentwood stools are experiencing a renewed popularity. 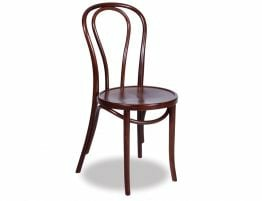 The Relax House authentic Michael Thonet original designer No.16 cafe chair is a classic Michael Thonet bentwood design created from natural beech wood stained in wenge, a dark almost brown/black. Our dining chair features a solid wood seat with a striking starburst pattern embossed on it and a scrolled seat back that forms a shape rather like that of a heart or the sloping curves of a swan’s neck. These design details add to the charm and custom look of this iconic dining chair. The Relax House Michael Thonet designer original collection is made the very same way as the originals, in the same factory in Poland founded by the Thonet’s themselves. Our exquisite designer replica is nearly indistinguishable from an original Thonet, a sure statement of our commitment to quality. 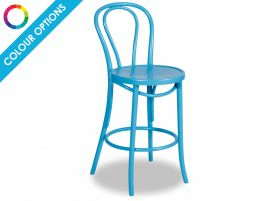 These iconic chairs are an attractive addition to your kitchen, breakfast nook or even dining room. Constructed for both beauty and durability, these chairs are also strong enough for heavy commercial use making them a must have for your brasserie, bistro and café. 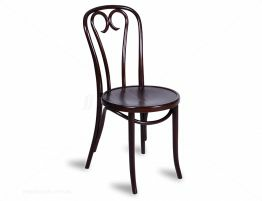 The classic bentwood design was produced by Michael Thonet and Sons. Michael Thonet was a German cabinet maker who pioneered the use of bentwood furniture design. 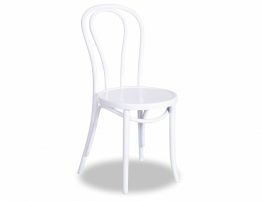 Thonet began experimenting with the new forms in the 1830s. Using steam to make the wood more pliable, Thonet would use one piece of wood to create the chair’s scrolled back rest and back legs, then add a seat and front legs. This structure has become the very standard of what we call a bentwood chair.